For spot color convenience and speed, INX offers its customers a variety of ink dispensers. For conventional offset litho and UV offset ink, we carry the GFI AccuBlend-HV™ dispenser. 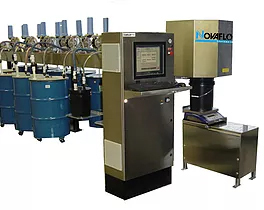 For flexo inks, our offerings include the N20, N30, N40 and N50 Series from Novaflow, and from HMJ tech, the HMJ-200 for small batch production. Dispense time: 1 gallon jug, 4 ingredients in 90 seconds! 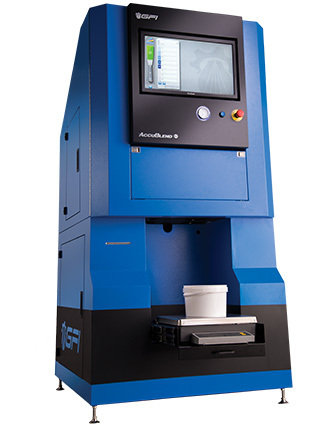 Uses a two stage dispense valve, allowing the user to choose accuracy or speed of dispense. 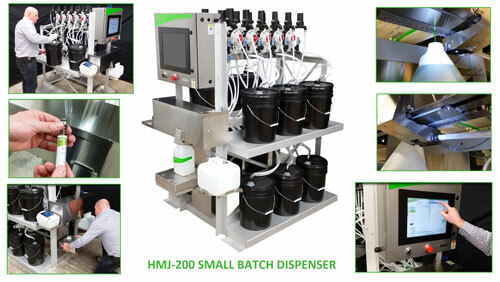 Multiple batch sizes can be handled: 1, 5, and 55 gallon, with the standard scales . 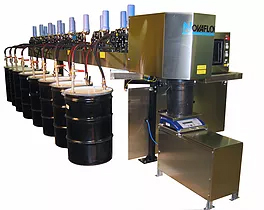 One gallon batched can be produced with the automatic scale indexing option. Raw materials can be pumped from buckets, drums or bulk containers.